The natural healing practice of craniosacral therapy can effectively relieve stress-related pain and inflammation. In Poway, CA, Dr. Bret Mosher offers this soothing, therapeutic treatment for patients suffering from neck and back pain, anxiety, and other conditions. Craniosacral therapy can improve the body’s self-regulating and self-healing abilities. Biodynamic craniosacral therapy was introduced almost 100 years ago, when an osteopathic doctor detected the presence of subtle rhythmic motion in the cranial bones of the skull. The network of interconnected membranes and fluid in the central nervous system express these rhythms, which are important to balanced, healthy bodily function. Flowing from the head to the tailbone, the natural rhythm of the cerebrospinal fluid can be affected by stress and disharmony. Accumulated stress and past trauma or injury can be expressed in the form of inertia, which affects natural, healthy rhythmic movement. Bodily tissue retains a memory of unresolved pain that tends to replay with new stresses. Your individual physiology tells a unique story and can provide a direction for natural self-healing. Most patients benefit from a series of craniosacral therapy appointments, with increasing pain relief and well-being experienced with each treatment. Using the hands to “listen” to the body’s unique natural rhythms, a craniosacral therapist can pinpoint and release trapped energy that underlies disease. Subtle movements that slightly reposition the head and neck in relation to the spinal column and sacrum affect the circulatory rhythm of the cerebrospinal fluid surrounding the spinal cord and brain. This therapeutic action can enhance the body’s self-regulating and self-healing abilities. For your craniosacral therapy treatment, Dr. Mosher will ask you to lay fully-clothed on a soft, comfortable massage table. The process is entirely painless, and patients tend to find it very relaxing and soothing. Dr. Mosher has a warm, congenial manner that patients also appreciate. The treatment is gentle enough for babies and young children, and all ages can benefit. Beginning at the skull, Dr. Mosher uses subtle, gentle palpations to evaluate your personal biological rhythms. He works to identify sites of energetic congestion and inertia that may be affecting the body and causing pain. With gentle massage of the head, neck, and tailbone, he can relieve stress and tension, reduce inflammation, and help rehabilitate minor injuries. 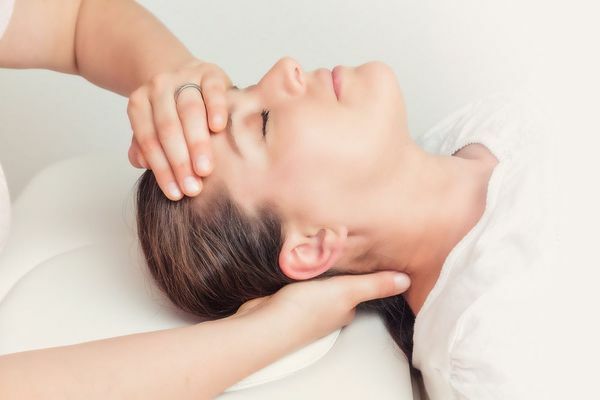 Most patients benefit from a series of craniosacral therapy appointments, with increasing pain relief and well-being experienced with each treatment. Dr. Mosher incorporates skill and knowledge gained from an extensive background in physical therapy and natural medicine. He is a master at acupuncture, acupressure, and other techniques that facilitate the body’s inherent self-healing abilities. Craniosacral therapy is just one of many non-invasive healing methods offered by Dr. Mosher. To schedule an appointment and learn more about the Mosher Health System, please contact us today.